Sikh Educational and Cultural Society, an affiliate of Sikh Satsang of Indianapolis released two post card sized Cards in the presence of the Sangat on the occasion of the martyrdom of ‘Chote Sahibzade and Mata Gujree ji’ (two younger sons and mother of Guru Gobind Singh ji). 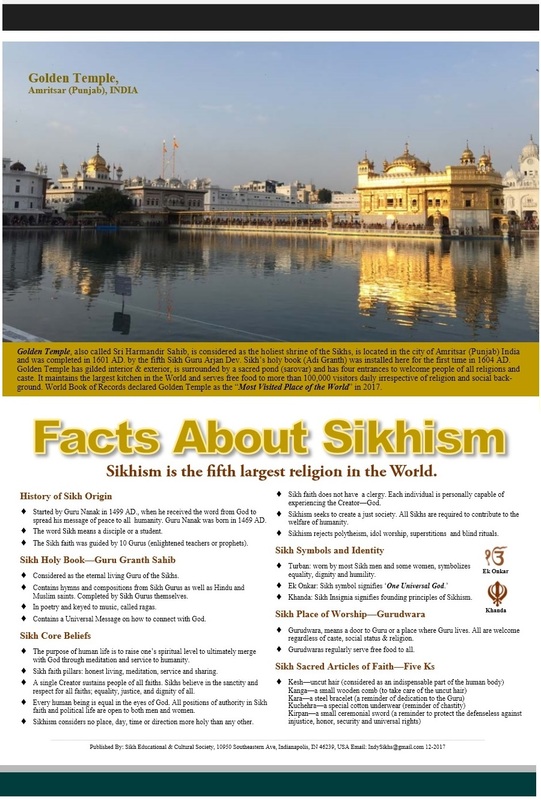 The first card is titled ‘Facts About Sikhism’ which has an image of Golden Temple and on the back has basic information about Sikhism: History of Sikh Origin, Guru Granth Sahib, Sikh Core Beliefs, Sikh Symbols and Identity, Gurudwara and Five Ks. 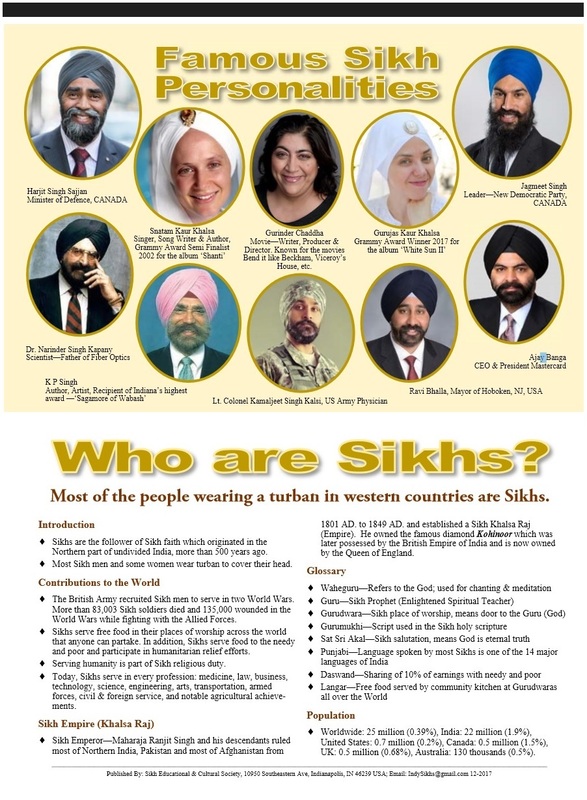 The second card is titled ‘Who Are Sikhs’ which has images, with a brief description, of a few world renowned Sikh personalities and on the back has basic information about the Sikhs: An Introduction, contributions of Sikhs especially during World Wars, Sikh Raj, Glossary of important words and population of Sikhs worldwide. 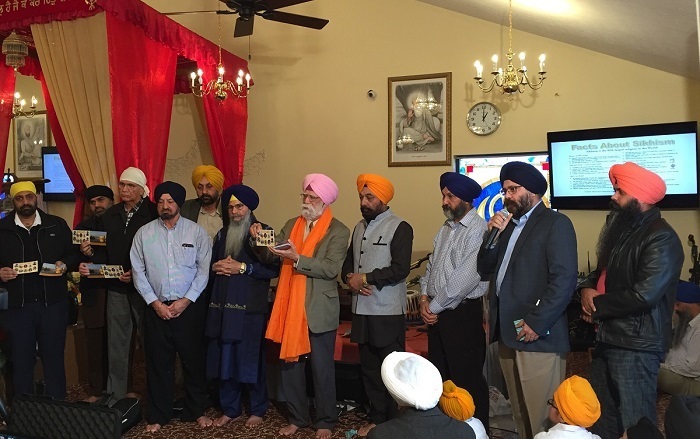 The organization intends to release more educational material, including posters, in the near future to help educate people about the Sikh faith. The Cards are being made available to the organizations worldwide free of charge. Donations are encouraged and welcomed. Feedback and suggestions for future updates and projects are welcomed.